Family vacations are a need for every one of us!! Time away with just your loved ones is needed to relax and enjoy a vacation together! 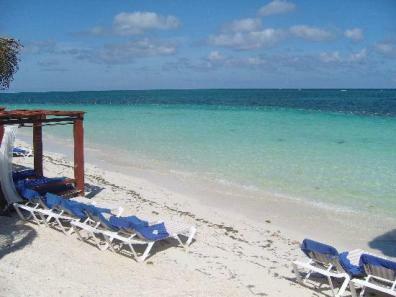 The Riviera Maya, Mexico is the perfect place for your all inclusive family vacations. It's great for a memorable, fun trip together. The Riviera Maya has just started booming in the last 10 years. This area has so many options. If you want adult only hotels, those are available. If your wanting a resort with a family friendly atmosphere where you can come with your kiddos then they have those as well! All inclusive family vacations make life a little simpler, since there is no cooking or shopping involved and they are great cheap family vacations. All inclusive resorts are not just for families either! They are great for honeymooners, couples and friends! Some aspects of family resorts are appealing to couples and friends such as lazy rivers, wave pools, ocean trampolines and climbing walls! I know they appeal to me! Are you wanting to enjoy every moment with the kids during your family vacations? or maybe a little time with just your sweetheart? most family resorts have kids clubs and babysitting so your entire family can enjoy the most out of your trip. Lots of all inclusive family vacations are at resorts that also cater to adults with gourmet food and special adult only jacuzzi's or swimming areas for some time away from kids if needed. I talk a lot about some of the different hotels and resorts in the Riviera Maya. I do not talk about all of them. There are plenty to choose from, and I want you to know about the best ones! Karisma Hotels is a family of resorts that offer adult only all inclusive hotels and also family resorts. One small, premier boutique like hotel is the Azul Beach Hotel. This hotel has only 97 rooms and provides an intimate atmosphere. Unique to this hotel is a All Lobster Menu, all kinds of special things for kids like strollers, baby milk, etc. For some relaxation there are swinging beds at the outside bar. Azul means blue in Spanish..and blue is definitly the color of the breathtaking ocean and immaculate pools! There are a few family resorts perfect for cheap family vacations that have multiple properties that you are able to use if you are staying at one of their resorts. This is a great benefit if you want to enjoy all the amenities of several all inclusive resorts for the price of one. The Barcelo Maya Palace resort is one that offers 5 Palace Resorts in the Riviera Maya for your use when you book at one of the resorts. This hotel has 2 children's clubs, a Premium level and unique Mayan spa services. A brand new resort opened up in the Riviera Maya Mexico in Nov. 2008. It is called Hacienda Tres Rios. This resort is the first of 5 resorts that will be on this property. There are 3 rivers at this resort that you can kayak and canoe on, and 10 cenotes that you can snorkel in. This resort was recognized for being 'green friendly'. You will truly have a unique experience at this resort. It is truly high class! Sister resorts Iberostar Paraiso Lindo, and Iberostar Paraiso Maya actually share some of the same property such as pools and restaurants. There is always a few things that are unique to only that resort as well, such as certain restaurants. These two hotels share the wave pool and lazy river and it is very easy to access these. Their sister hotel, Iberostar Grand Paraiso is located right next door, but since it is an adult only and step up from these hotels, you are unable to use this resort unless your accomodations are at this hotel. 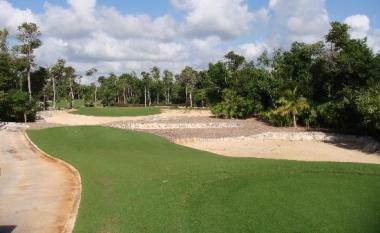 During all inclusive vacations, sometimes you just need to get a way.. Do you enjoy golf? Some family resorts even have their own golf course on the premises that you can use! Moon Palace is a Golf and Spa Resort just 5 min. south of Cancun and offers a 27 hole Golf course-The Jack Nicklaus Signature Course If your off playing golf, your family may want to enjoy the Spa, 1 of 6 jacuzzis, Kiddi pools or climbing tower. The Moon Palace is also part of the Palace Resorts and you have use of the other sister Palace resorts by staying at this one. Nestled among swaying palm trees, overlooking Puerto Morelos National Reef Park is Hotel Marina el Cid spa. This resort has a 120 slip Marina and state of the art Spa! 22000 sq. ft. free form pool with in water lounge chairs, waterfall, childrens slides and sun deck make up this Outdoor Aqua Oasis. There is also an adult only whirlpool and silent zone. This Riviera Maya hotel offers lots of activities for kids including: snorkeling lessons, cooking classes, kayaking and bike tours. Tulum is a one of a kind tourist area about 1 1/2 hours south of Cancun. If you plan on visiting this white sand area of ruins, you should check out the Dreams Tulum Resort. It's perfect for couples, families and friends. With a supervised Explorer's club for kids, they will have a great time! With all this I'm so surprised it's affordable! But it is...the perfect cheap family vacations..that don't look or feel so cheap! This resort also offers a huge free form pool, quiet pool, kids pool, euro bungee, ocean trampoline and an awesome Spa! Another Dreams all inclusive resort is Dreams Puerto Aventuras. This beach resort is just beautiful and has the same great family amenities as all Dreams Resorts. It is located in the beautiful Puerto Aventura area where you enjoy the ocean plus lagoons and sea life. This resort has great features like movies on the beach, overnight beach camping for kids once a week. Dreams is great at creating a family atmosphere but also creating a romantic atmosphere! In the Riviera Maya there are some beautiful coral reefs to snorkel. One of the largest is actually in front of the resort, The Grand Sirenis. You can swim right out to it and see it's beauty! This resort also offers a lazy river, children's pools, and nightly shows such as the Lion King. All inclusive family vacations are just easy to plan and have fun in the Riviera Maya. I believe these are the nicest ones that I know you will not be disappointed in. Your family vacations are important and you deserve to have the best time!!! Return to Riviera Maya Hotels from Family Vacations Interested in Canada? Check out the Calgary Travel Guide, Your online source for travel information and guide to the beautiful city of Calgary, Canada.